Gorgeous tangerine colored Hawaiian Sunrise Shell, with clean white tiger stripes! A spectacular shell in every way! Its shape is perfectly round with very fine detail in each of its bumpy ribs, pristine, and sized at slightly larger than 1 1/8 inches (larger than a US quarter coin) of pure sweetness! 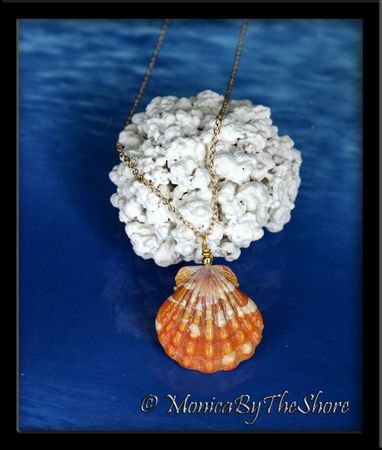 The shell pendant has a gold bead atop and drapes on an 18" 14K gold filled cable chain necklace. 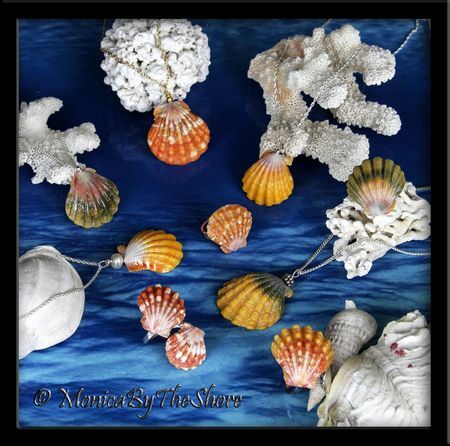 Just wait for the compliments you'll receive on this fabulous colorful seashell, wear with a smile and enjoy the Aloha it will show to others and bring to you!